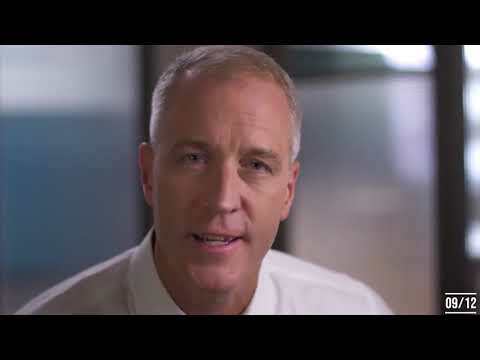 U.S. Rep. Sean Patrick Maloney and James O’Donnell, the Republican challenging him for New York’s 18th Congressional District seat, have major differences over federal tax law and abortion rights as well as whether Maloney's heart is still in the job after six years. The 18th Congressional District includes Orange and Putnam counties in addition to parts of northern Westchester and Dutchess counties. The district tipped slightly in favor of Donald Trump during the 2016 presidential election. Maloney, 52, is an openly gay Democrat, whom O'Donnell, 67, strongly criticized for running for state Attorney General before losing a four-way primary race on Sept. 13, as reported here by Daily Voice. Saying Maloney is two-faced when it comes to supporting President Trump, a new O'Donnell campaign ad linked here, concludes: "We can't trust him anymore." O'Donnell pushed the county to sell the center, and Maloney faulted him for doing so. Valley View reportedly has a massive cash surplus, prompting the Middletown Times Herald-Record to call for a grand jury investigation of Orange County's attempt to sell it. Maloney is proud about getting 31 bills passed despite being in the minority party in a divided Congress. He's confident he can get even more accomplished if Democrats regain control of the House of Representatives on Nov. 6. But O'Donnell of Goshen called Maloney and Minority Leader Nancy Pelosi of California "two peas in a pod, voting together 90 percent of the time in Washington," while calling "their far-left agenda wrong for the Hudson Valley." Washington, D.C., Democrats are pushing for impeachment, open borders and undoing the positive parts of the Trump’s tax reform bill that has created an economic resurgence, according to O'Donnell. O’Donnell is a retired police commander who worked for the state police for 23 years. He also was chief of the Metropolitan Transportation Authority (MTA) police for five years. He has been a county legislator since last year. O'Donnell said he has dedicated his entire career to public service and keeping the community safe. O'Donnell supports President Trump's tax-code overhaul as an economic boost, saying that reducing the corporate tax rate to 21 percent from 35 percent is stimulating new business. Like other New York-elected Republicans, O'Donnell opposed the federal law’s $10,000 cap on deductions for a household’s state and local taxes. O’Donnell said he favors raising the cap to $25,000 if elected to Congress. Maloney, who voted against the tax law changes, said: "No one thinks it’s good for New York except Mr. O’Donnell." Maloney said he supports repealing or allowing to expire the cap on state and local tax deductions -- which he called poison for the Hudson Valley -- rather than raising the limit to $25,000. On Tuesday, Oct. 30, Maloney called on O'Donnell, to live up to his word and release his tax returns after O'Donnell volunteered to release the documents during a debate last week. O'Donnell made the offer in response to a question regarding his false campaign promise to forego a salary during his previous runs for Orange County Legislator. "When he ran for Orange County Legislature, Jimmy claimed he'd forego his salary because he was already receiving a taxpayer-funded pension, but public record proves that he did not live up to that promise," Maloney said in a press statement. "Then he comes out and says he'd release his tax returns to prove where that money went -- well, we're still waiting, Jimmy." In 2015 and 2016, while running to serve in the Orange County Legislature, O'Donnell repeatedly promised to forego his salary, but public records show he has taken tens of thousands of dollars in compensation during his time as a legislator. In response to a question about the issue at a Fios 1 debate on Oct. 23, O'Donnell claimed he'd donated his salary and would release his tax returns to prove his claim. Maloney, who supports abortion rights, criticized O’Donnell for saying he supported a Supreme Court reversal of the Roe v. Wade decision and for calling late-term abortion homicide during a debate and another joint appearance. Maloney's campaign issued a press release in which the congressman asked O’Donnell if he would support efforts to prosecute women who seek abortions -- even when medically necessary -- if he were elected to Congress? O’Donnell spokeswoman Jessica Proud called Maloney’s support for abortion up until birth "reprehensible, dangerous to a woman’s health and completely out of touch with even most pro-choice women." Proud said O’Donnell would not seek to overturn Roe v. Wade, but he "will certainly not support expanding abortion up until birth." O’Donnell said he supports registering undocumented immigrants and letting them become citizens in 10 years. And he supports Trump's proposal to spend $21 billion on border security. Maloney called the southern border wall a waste of taxpayer money. O’Donnell argued that Maloney’s unsuccessful run in a Democratic primary for attorney general this year showed Maloney doesn’t want to be our congressman. Maloney countered that he has proven his dedication to his job and the 18th District through his record of getting bills passed, constituent service and the funding he has secured for the Hudson Valley.